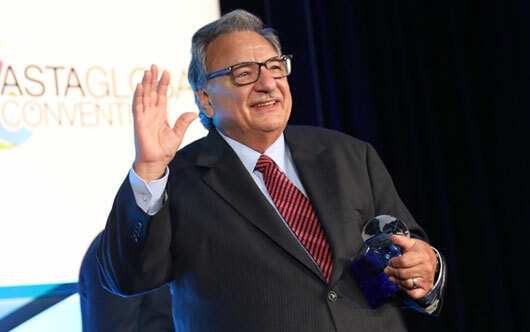 The American Society of Travel Agents (ASTA) has bestowed its Lifetime Achievement Award to A.J. (Rick) Mazza, founder, president and CEO of American Marketing Group (AMG), the parent company of 19 travel brands and three agency networks (TRAVELSAVERS, NEST, and the Affluent Traveler Collection). Not presented annually, the Lifetime Achievement Award is rather recommended periodically by ASTA’s board of directors to honour a travel industry luminary “whose creativity, dedication and inspiration have advanced the travel and tourism industry.” As 50-year veteran of the travel industry, Mazza founded AMG to service the travel agency community.